There are millions of vehicles on the road in America. Some cars, at some points, do malfunction and break down. If you experience a breakdown or malfunction that could be the result of a safety defect in your vehicle, it is important to report it. You should also report any safety issues with tires, non-original equipment and child restraints. The National Highway Traffic Safety Administration is charged with keeping an eye on the safety of vehicles and vehicle-related products on the road. With millions of vehicles on the road, though, the NHTSA cannot track every single issue that may crop up. By reporting possible safety defects, you help the NHTSA “connect the dots” and know what to investigate. Safety recalls and investigations are spurred by these complaints. Car manufacturers often do not like admitting defects in their vehicles until a safety recall is initiated, so reporting to the NHTSA is the only sure way to make sure action is taken on your complaint. You should report any safety complaint or possible concern to the NHTSA. For example, if your brakes appear to fail, that should be reported. 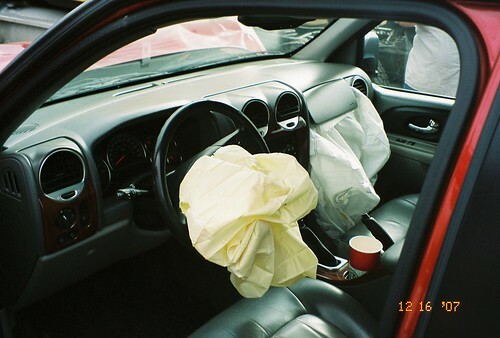 An airbag deploying incorrectly should be reported. Tires separating, component failures and defective child restraints are also worth reporting. Basically anything and everything that could cause a crash, make a crash worse or put life and limb at risk in a vehicle. Reporting a possible problem to the NHTSA is relatively easy. You can report a problem online, at the Office of Defects Investigation website or by calling 888-327-4236. You will need information about the make and model of the car and component you are making the complaint about. You will also need to give the NHTSA your contact information, in case it does launch an investigation. This information helps the agency add information to its database, where it will connect the information to other complaints of that same problem.